Be different from most free HD video converters, idoo Video Editor can give videos more effects as well as convert them. Meanwhile, the HD videos are classified by it, to make the operation more efficient and easy. idoo Video Editor is an HD video convert by which almost all HD video formats can be converted, so it is also an MP4 to HD video converter / flv to HD video converter / AVI to HD video converter / 3GP to HD video converter. How to convert videos into HD? First of all, you can get this HD video converter free download here. You may have a try after installing it. 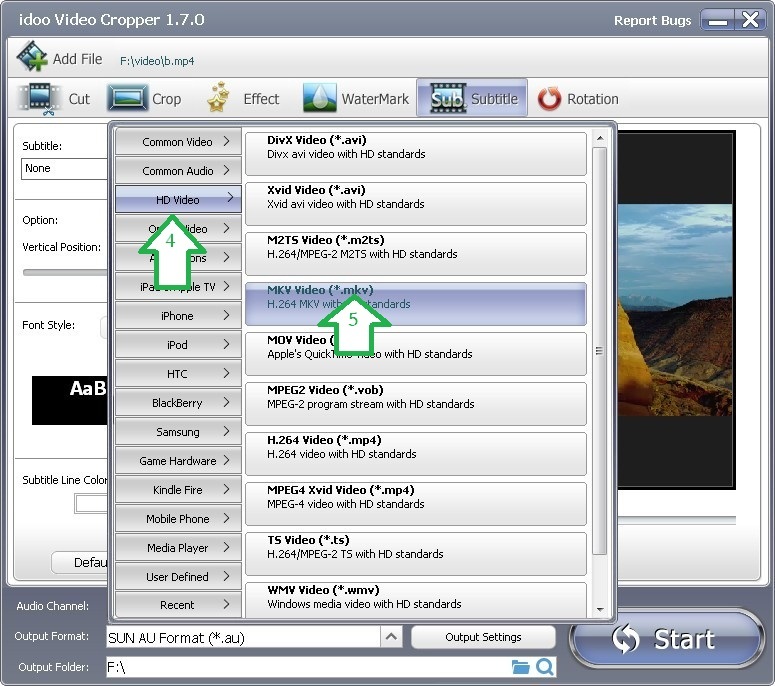 Almost all video formats can be converted by idoo Video Editor. In the output format list, various HD video formats are clearly showed, you may choose the one you need and easily convert you video into this format. 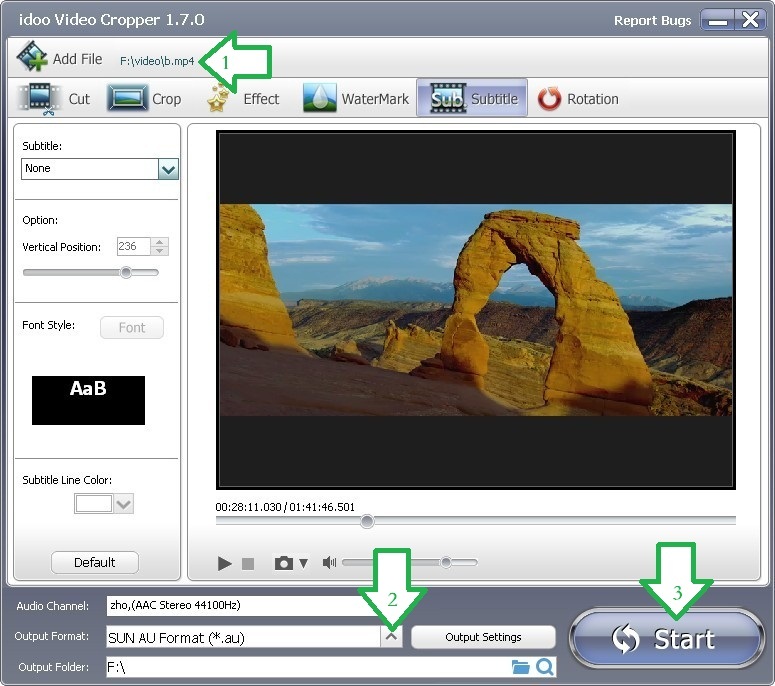 As well as format conversion, there are more advanced edit functions such as splitter, cutter etc.. And the following part will illustrate the function of idoo HD video converter. The Guide of Convert Videos into HD. 1. Click any function on main interface, and click “Add File” (Arrow1) to select the file you want to edit. 2. Click the drag-down list of “Output Format” (Arrow2). 3. Click “HD Video” (Arrow4) in the drag-down list, and the detailed formats will be showed on the right. See pictures above. 4. Select the output format you want, take MKV as example (Arrow5). 5. Click “Start” (Arrow3) to begin converting. After that you may do further editing jobs to the video. For more information, please refer to relative articles in our sites.